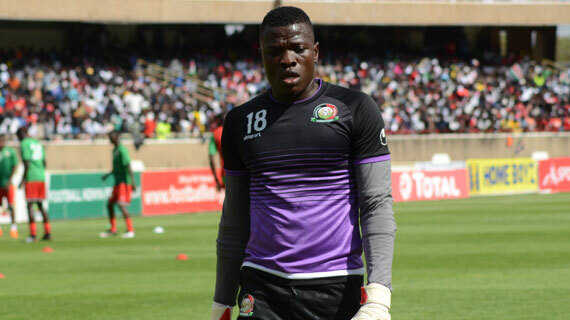 Harambee Stars FC first choice keeper Patrick Matasi on Thursday evening sealed a three-year move to top Ethiopian club St. George having concluded discussion with his parent club Tusker FC. St. George have been tracking the former Posta Rangers and AFC Leopards man for a while and watched him last Wednesday in Kenya’s 0-0 draw with Ethiopia in Bahir Dar. Matasi travelled to Addis Ababa on Thursday afternoon before putting pen to paper and the club acquiring an International Transfer Certificate (ITC). “I am really happy to have made this move, It is my first outside the country and basically a dream come true. I thank my club Tusker FC for making the negotiations smooth and my target now is to work hard and translate the form I have had locally to Ethiopia,” the keeper said. Matasi has been a key figure for the national team having kept three consecutive clean sheets in both home and away matches against Ethiopia, the 1-0 win over Ghana as well as the friendly match against Malawi. He becomes the second Kenyan keeper to play in the Ethiopian league after former Sofapaka keeper Zach Onyango who turned out for Ethiopia Bunna in 2012. Matasi move to Ethiopia from Tusker FC where he spent only six months having joined them in mid-season from Posta Rangers. AFC Leopards was his first top flight team in 2011 before he joined Posta Rangers. Matasi was last year named the best Footballer of the year during the annual Magharibi Michezo Awards. You can also read how Matasi has risen from a sugar cane plantation farm casual laborer to an international star.